We all love the sunshine so much we don’t mind squinting. 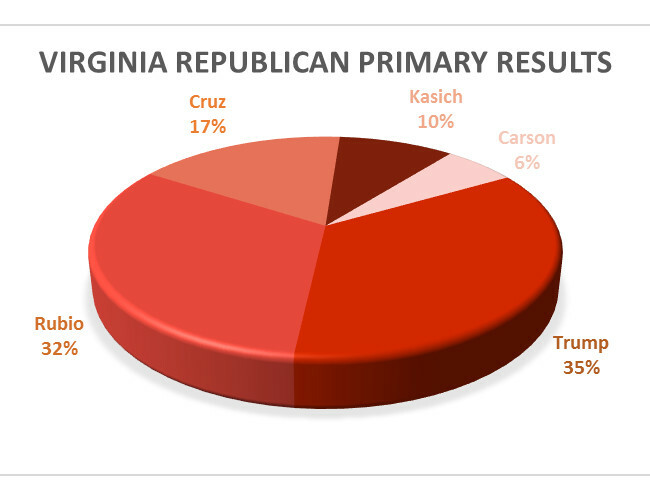 As everyone knows, yesterday was Super Tuesday in Virginia. We are one of the 12 states that have a huge impact on the selection of the presidential candidates. This year in our homeschooling, we are studying U.S. History. 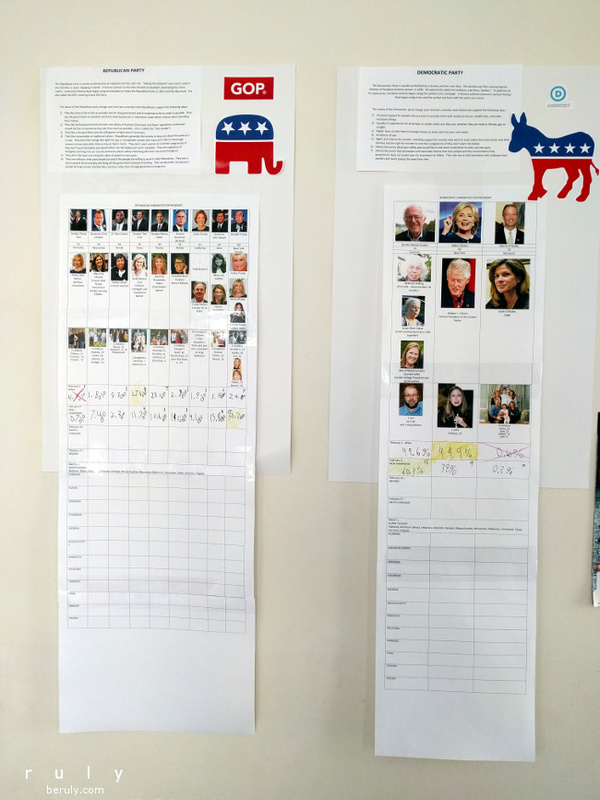 When the presidential primaries began, we started a chart in our living room to track all the candidates and their progress. Our household has a variety of political opinions so we aren’t all rooting for the same candidates. Results aren’t official until they are recorded on our chart! I wrote up a short overview of the general ideas that guide the Republican and Democratic party. I read them to my girls. One of them got fired up about the idea of low taxes and announced herself a Republican. The other quietly said she was a Democrat. So, each girl is responsible for tracking the progress of her party. 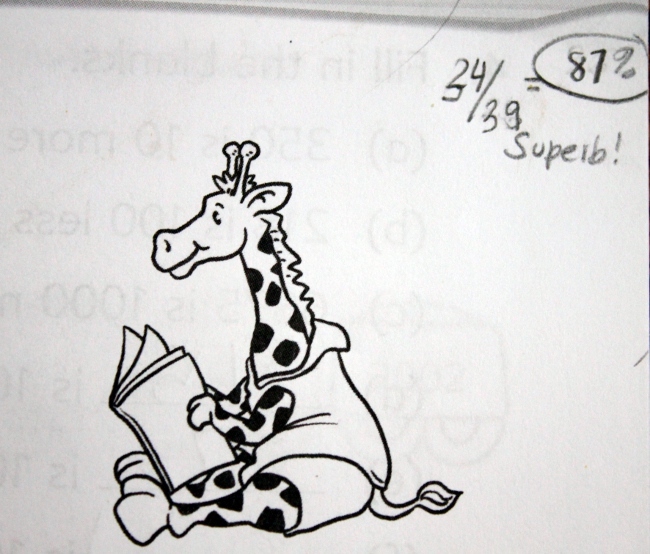 After each primary, they write down the percentages each candidate received and the number of delegates. When candidates drop out, we X them out in red crayon. Our chart has each candidate’s picture, a picture of their spouse (and ex-spouses) and their children. You would think that this was a fairly mundane piece of information but there were some interesting stories generated pulling this together. We also color in a map of the United States showing which states are next in the primary contests. It is a great way to review geography, math and history at the same time. 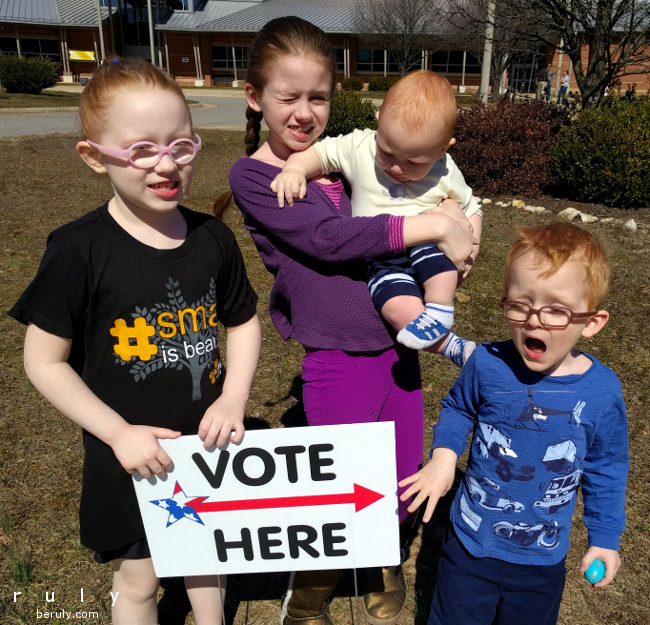 Yesterday, I took all the children with me to vote so they could see how the actual process works. 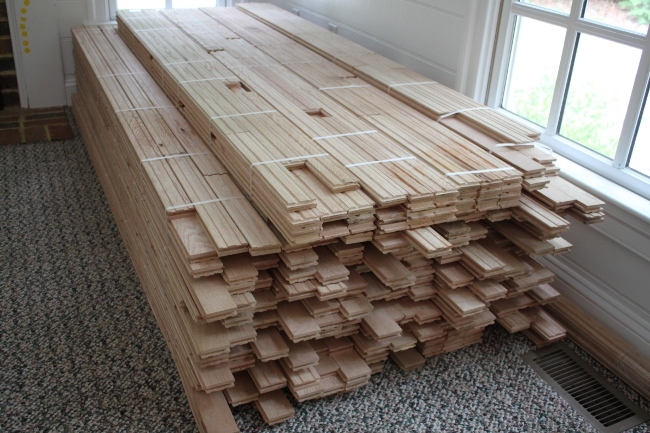 1)	There were no political campaign signs anywhere to be seen! Not a single candidate had a yard sign or any presence at the polls. The only person at the polls was one person petitioning for fairer redistricting laws. 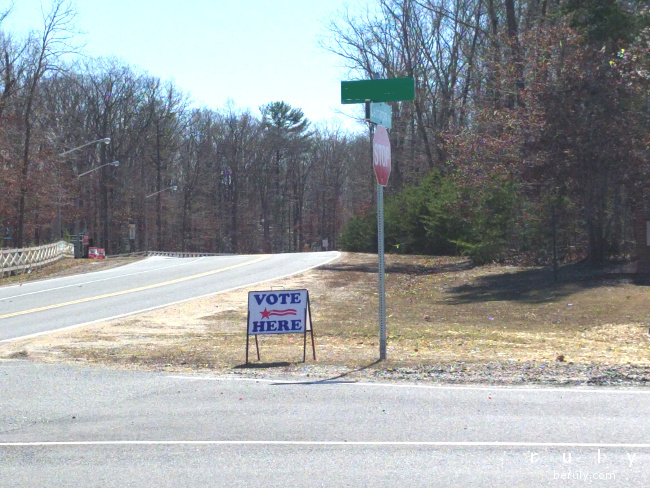 This lone “Vote Here” sign is all there was to be seen of campaign activity on Tuesday. It kind of fits Virginia’s reputation for understatement. 2)	Virginia used to vote on touch screen computers but we have gone backward to paper! I was surprised to be handed a paper ballot, told to blacken in a circle and feed it into a machine. The machine told me my ballot had been received but did not confirm that it recorded my vote correctly for my candidate. One of the election workers said that the change to paper was due to a recent Senate election where the vote was very close. When the election workers went to verify the results, because they were all done on computer, there was nothing to verify. With paper voting, “at least there is a record” she said. She said the paper method will be used for the presidential election in November. I am not sure if this is an improvement. Marco Rubio’s campaign blew up the phones. We got two Robocalls from Governor Nikki Haley and Senator Tim Scott of South Carolina on his behalf. (While South Carolina is one of our neighbors, it was odd he didn’t use a Virginia endorsement.) The phones were ringing nonstop (which is irritating) but nobody left any messages (even more irritating!). So, we might have been called by other campaigns but only Marco Rubio’s campaign actually left messages. 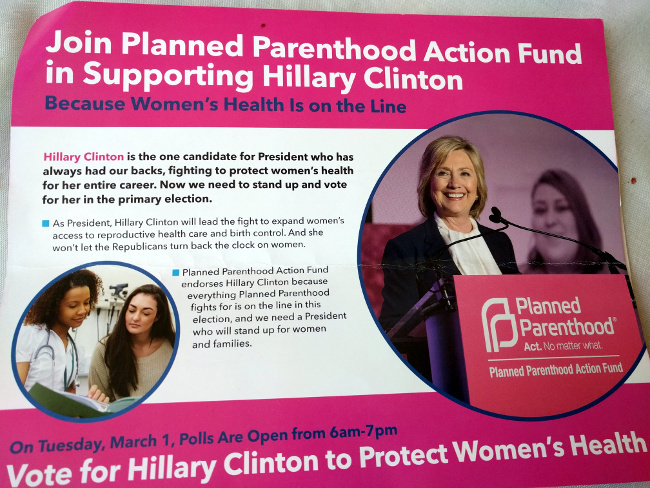 The grand total of Hilary Clinton’s campaign efforts consisted of one mass mailed piece from Planned Parenthood. I was hoping more of the candidates would mail things as it gives us free pictures of them and they make great teaching materials. 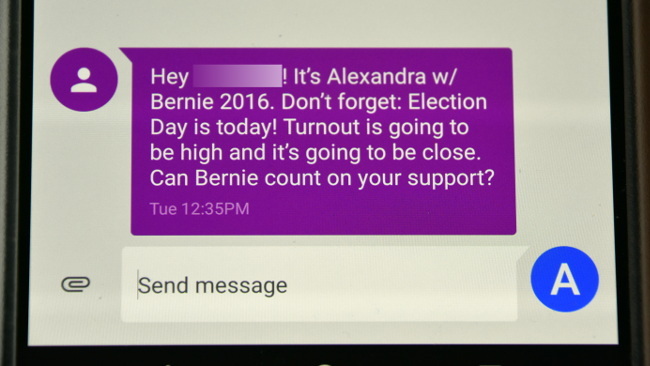 Bernie Sanders campaign sent me a text on my cell phone (addressed to my husband) and I also received a few emails on his behalf. Bernie’s text to me. I don’t know how his campaign got my cell phone number. Ted Cruz showed up in one YouTube video advertisement. And that was it! 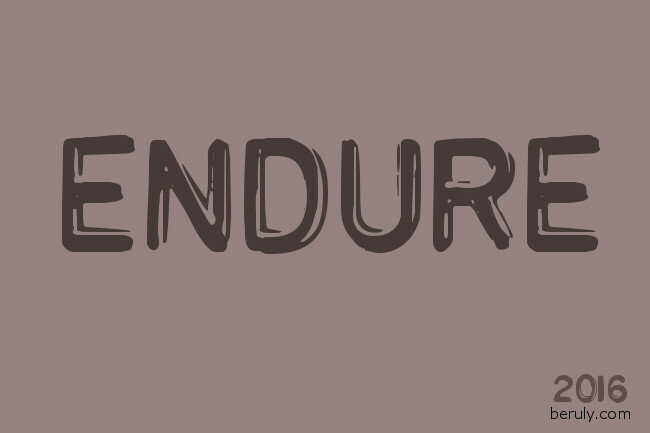 For such an important contest, it was surprising that there was almost nothing. Nobody campaigned in the Fredericksburg area. My experience has been that candidates largely ignore Virginia and then want to turn to us at the last minute when they discover we are almost always a battleground state that can go either way. 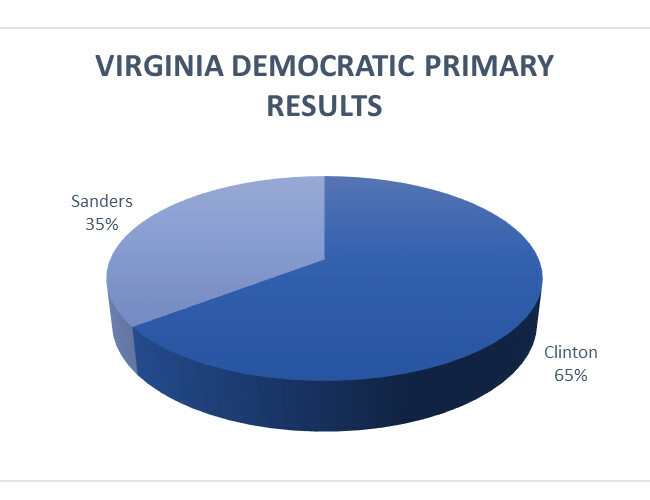 Here is how Virginia voted yesterday. Since we are a battleground state with a good diversity of opinion, there is probably a good chance that Trump and Clinton will go head to head in November.